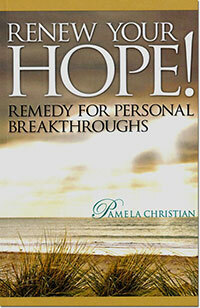 For over twenty years Pamela Christian has helped people discover and live in life-giving truth. As a television host, radio broadcaster, author, speaker, and teacher, Pamela compassionately helps people discover truth and the eternal hope it provides. Pamela is an ordained international itinerant minister and holds a certificate in apologetics from Biola University. She and her husband, David, live in Orange County, CA with their two grown children and spouses living nearby. We pray that you are blessed by these books. Do thoughts of the last days fill you with fear? Are you in denial about the present worldwide unrest? Are you looking for a place of peace and safety in these End Times? The high level of hostility, extreme hatred, and unprecedented violence worldwide today is unlike any other time in history. Many respond with fear, others with denial, still others seek to escape to safety. • Are we living in the Last Days as prophesied in the Bible thousands of years ago? • Who can escape the great and terrible Day of the Lord? • Will the volatility we face with unpredictable world leaders and the escalating levels toward wars build up to World War III? Is this setting the stage for Armageddon described in the Bible? The Bible speaks of a great End-Time Harvest of souls. The Church must be prepared to receive and disciple the many people who are awakening to the truth of Jesus. What will the Harvest be like and how can we get ready? Prepare for the Harvest! 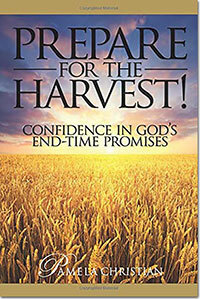 Confidence in God's End-Time Promises explores the answers to these questions and more. There is hope, there is safety, and there is escape. It's not in cowering or hiding, but in knowing and embracing the truth, and joining the army of God whose victory is assured. Well-meaning people want to believe that all roads lead to the same God and Heaven. But wanting something to be true is far different from truth lining up with reality. Unless you make an intentional effort to examine what you believe and why you believe it. It's quite possible you are living your life on the basis of a lie, and don't know it. • Is it relative or absolute? • Is it personal or universal? • What are the differences among the various religious faiths? Can they be blended? • Are we creating faith--a belief system--that is impotent by trying to accept all religions as equal? 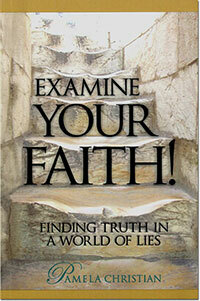 Examine Your Faith! Finding Truth in a World of Lies guides the reader through a reconsideration of truth vs. relativism, and the five major world religious, (Christianity, Islam, Hinduism, Buddhism, Judaism) and New Age, using objective, verifiable evidence to help the reader confidently conclude matters of truth and religious faith. More than ever before, most people are finding it difficult to remain optimistic about their life and their future. So much has failed--marriage, family and personal relations, the job and economic markets, government, education and even the Church. In whom or what can we find the hope and personal breakthroughs we desperately need? Clearly there is no hope in our natural existence. There never has been. That is why Christ came to this earth in the first place! Renew Your Hope! 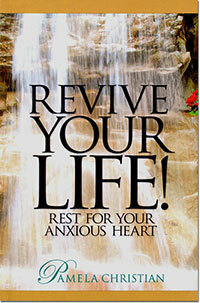 Remedy for Personal Breakthroughs provides the answers that can change your life, your circumstances, and your future. • Learn the fullness of what Christ offers you. • Uncover the deceptions that have prevented you from moving ahead. • Discover Christ's authority and power that God wants you to operate in. • Take hold of the abundant, victorious life Christ died to provide you. You can have confident hope. You can have personal breakthroughs. Why wait a moment longer when this book places the answers in your hands? We're living in an antagonistic culture with much protest against government and social issues. People everywhere are searching to become part of a movement that will bring much-needed reform. But where do we start? History reveals when God is the focus of a people, their nation flourishes. We must start with a reconsideration of God. The restlessness in our hearts is evidence that God, whom we've pushed out of society and deemed irrelevant, is the Reformer we need. • Is mankind the supreme authority over world events? • Does God exist, and if so, what is His character, will, and intentions for the world? • Where can I find the peace and rest for my soul? • What are my life's meaning and purpose, and how can I make a significant impact in the world?